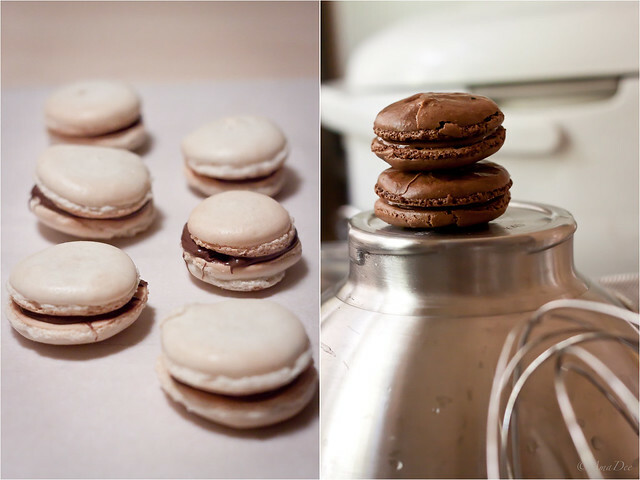 Finally got around to making French Macarons. They recipe doesn't call for much ingredients but its a very temperamental batter. The chocolate batter was a bit more dense than the regular one.